The developers and hackers from the iPhone jailbreaking community sure are a talented bunch of people. Despite reports of Siri being incompatible with older iOS devices because of them “not having suitable hardware”, these folks took up the challenge of making Siri work on these devices and, if today’s news is anything to go by, they have successfully completed that challenge. Yesterday, we published a step-by-step guide on how to install Siri’s GUI on iPhone 4 and iPod touch 4G but that was, as you may remember, GUI only. Today, we’ve received news that Siri now works 100% on the iPhone 4 and iPod touch 4G, with its GUI working smoothly and Apple servers accepting and processing voice input. The news comes from 9to5Mac – a blog dedicated to covering all things Apple – in a post where they announce that they have, in collaboration with developer Steven Troughton-Smith, managed to get Siri working with all of its features on older iOS devices such as the iPhone 4 and iPod touch 4G. 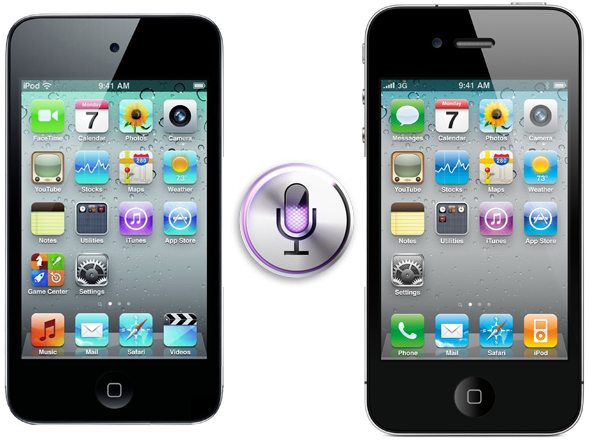 On the iPhone 4S launch date just a couple of weeks ago, we broke the news that developer Steven Troughton-Smith had successfully ported the Siri user-interface and some of the underlying code from the iPhone 4S onto the iPhone 4. The port was functional except for the most important part: talking to Apple’s servers. Now, Troughton-Smith has followed up with Chpwn to get the server fully working on an iPhone 4 and iPod touch. Troughton-Smith is the same developer who first got Siri’s GUI working on the iPhone 4, which we talked about earlier this month. After “following up” with developer chpwn, he has managed to trick Apple’s servers into accepting voice input from Siri on officially unsupported devices. This only became possible after iPhone Dev-Team managed to jailbreak iPhone 4S from which Troughton-Smith was able to extract necessary files to make Siri work. Sadly and, yet, understandably, Troughton-Smith refuses to distribute these files which are required to make Siri work on iPhone 4 and iPod touch 4G as doing so would be illegal. Besides this, setting Siri up on iPhone 4/iPod touch 4G takes about 20 steps and requires a “validation token” that has to be taken live from an iPhone 4S. Still, there is hope for those of you who are interested in making Siri work on their iPhone 4 or iPod touch 4G as Troughton-Smith states, after being asked if he sees Siri coming to Cydia in the form of a tweak, “I have no doubts that others will package this up and distribute it quasi-illegally, or try and sell it to people. I am only interested in the technology and making it work”. So there you have it, Siri smoothly working, GUI, dictation, voice commands and all, on iPhone 4 and iPod touch 4G. Stay tuned to Redmond Pie as we’ll let you know whenever there is a way to install Siri on your iOS device!